This should be a straightforward question, but for other nomads like myself with a sense of wanderlust, it’s never a straightforward response. Many of us live in multiple locations, moving from place to place without time to secure a permanent address. Essentially we’re ‘living’ wherever we are in that moment. My favourite definition of the word ‘address’ is from Wikipedia: “A code and abstract concept expressing a location on the Earth’s surface.” It is an abstract concept to me, I’m glad I’m not the only one. Between April – October 2013 I hiked from Mexico to Canada along the Pacific Crest Trail, 2,663 miles through California, Oregon and Washington. I started serialnomad.com to continue the journey I began on my www.mexicotocanada2013.com blog. 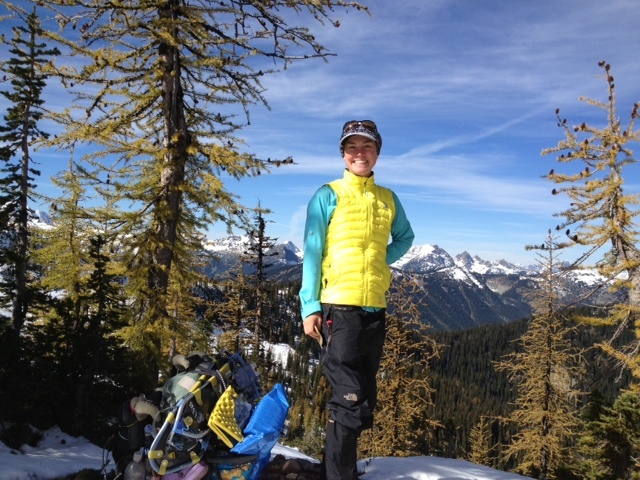 Me (trail name Muk Muk) in the Northern Cascade Mountain Range, Washington – Day 173. SpoonMan I never realised this was you! Apologies for my 4.5-year-late response. Hope you’re doing great! Miss ya too! Bonjour Rozanne. I hope you are well. I was reading (binge reading to be correct) your PCT journal earlier this Summer. I was unemployed and feeling quite down then and found you very uplifting. Your journey has been a great inspiration to pursue my dreams and follow my heart (which most of the time leads me to a mountain or a lake). Not too long ago, I was finally was able to get the job I wanted when I first moved here in BC. A few days ago, I went back to your journal to find info about your PCT section in Oregon and found out about serialnomad, I was so happy! I had no idea you were in this part of the world nowadays. I believe we might be colleagues…(I’m at the service centre). Small world. Thank you for sharing your wisdom! Hi Rozanne! really enjoy your through-hike video blogs. You are SO funny. Worlds your oyster. Thanks for sharing. 🙂 !! healthy and inspirational! (gosh that was a quick answer…) cheers!! Hey Gordon check out http://www.mexicotocanada2013.com. There’s a stack of info and a Q&A section if you have any questions! If you’ve done the AT you’ll be an old hand. Wishing you an unforgettable experience! !